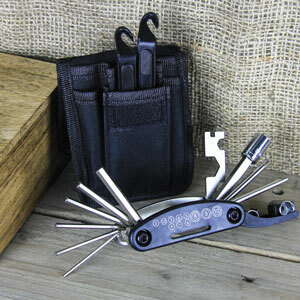 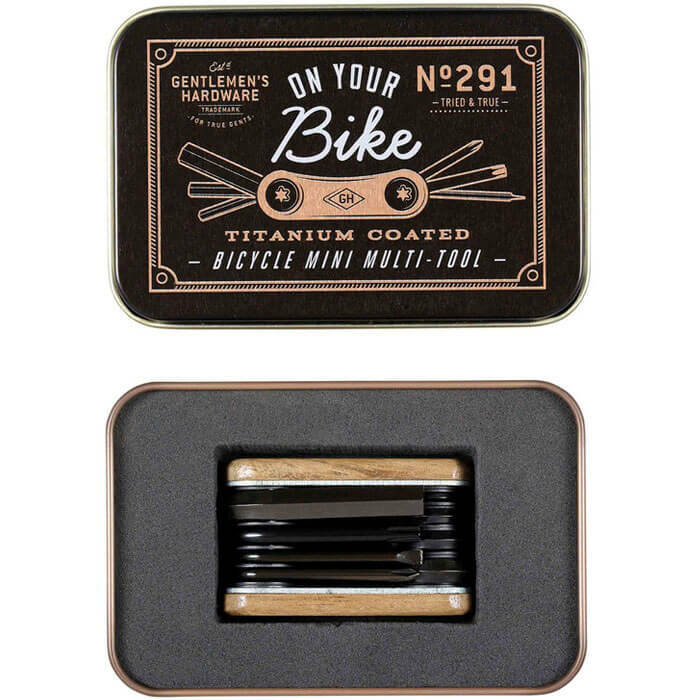 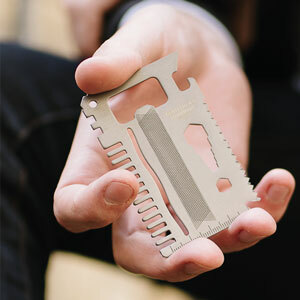 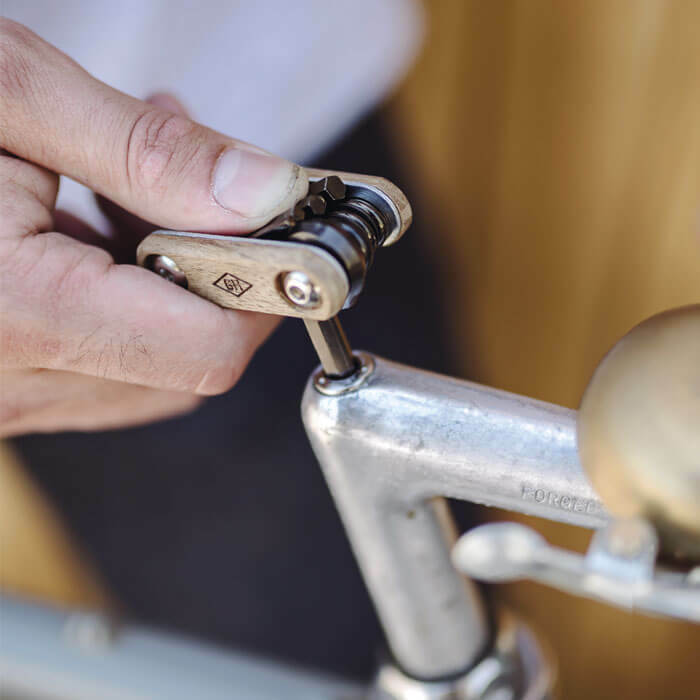 Keep your wheels turning when you have the Pocket Bicycle Multi-Tool to hand! 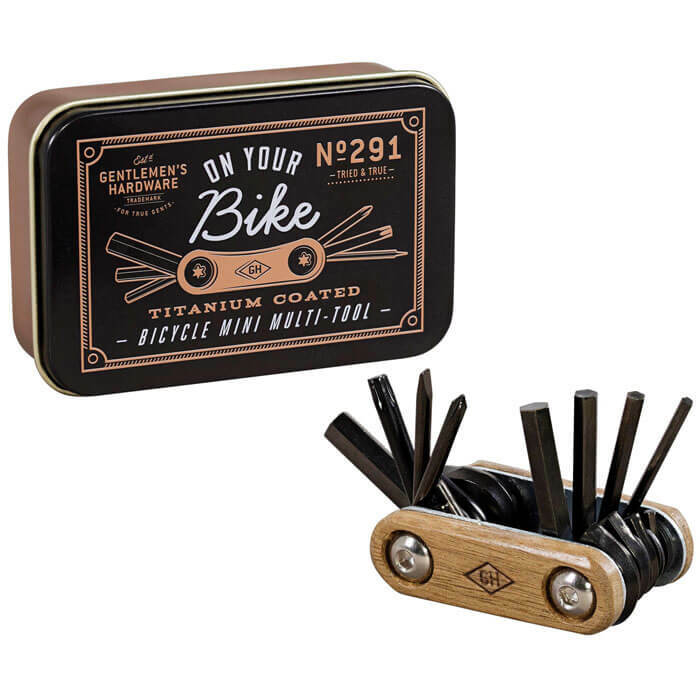 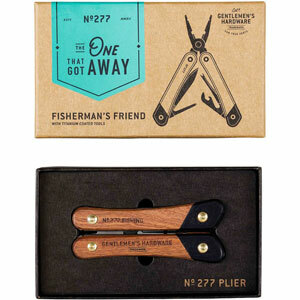 This nifty tool contains a ball-end hex key set, a chain breaker tool, a spanner set and a socket tri-tool, plus other essential instruments, all folding neatly into the acacia wood center. 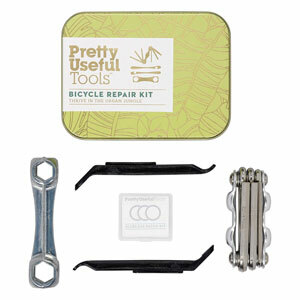 It may be small but it's definitely strong - the tools are coated in titanium and held firmly in place with chunky bolts.